Don’t toss your leftovers. 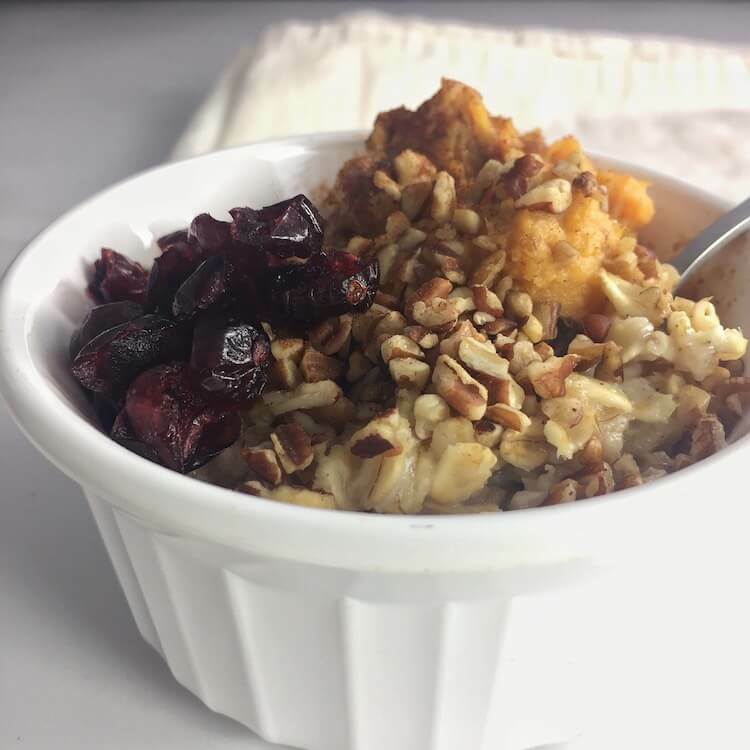 Transform sweet potato casserole into a sweet and tasty breakfast by adding a heaping spoonful to a steaming bowl of oatmeal to make Leftover Sweet Potato Casserole Oatmeal. It never fails that my family cooks way too much food for our holiday meal. Literally, there is so much food! But hey, it’s the holidays, right, so why not have tons of tastes to try? Especially when they’re recipes I’ve loved year over year for as long as I can remember! So, with all of that extra food means just one thing–leftovers! 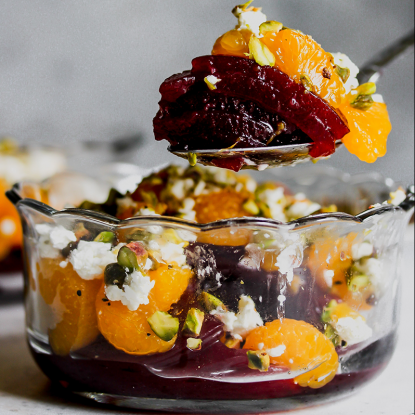 On top of just eating cold leftover stuffing right out of the container while standing at the fridge the morning after Thanksgiving, I also love figuring out creative ways to recreate them into something simple and delicious. One fun and easy idea for keeping your sweet potato casserole alive is to add a heaping spoonful to a steaming bowl of oatmeal. 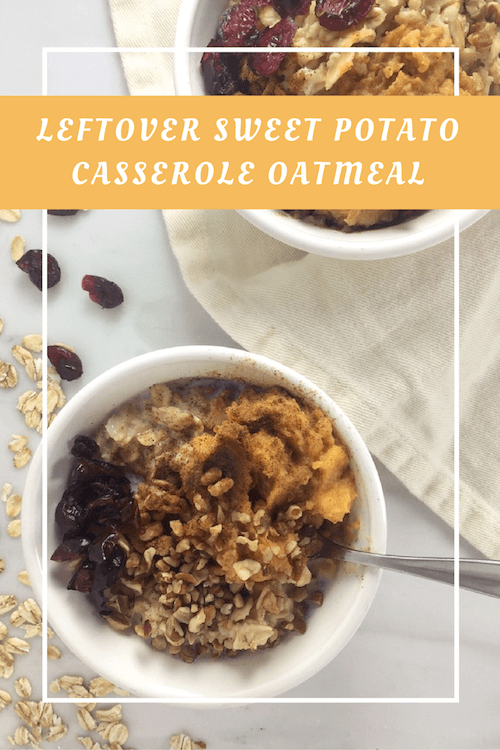 And it makes sense too….sweet potato casserole has all the sweet and yummy goodness you may add to a bowl of plain oatmeal so you essentially just need this 1 ingredient. And don’t worry about extra sticky leftover marshmallows. Stir those in too! 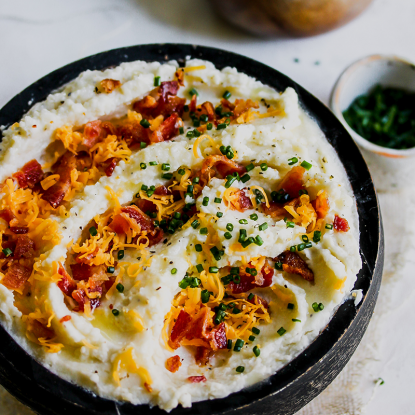 Now…what happens if you have no leftover sweet potato casserole? No problem! Just bake a sweet potato, mash it with a little milk and cinnamon until it is smooth and you’re ready to go. You also can add a hit of brown sugar if you prefer your sweet potato a bit sweeter. 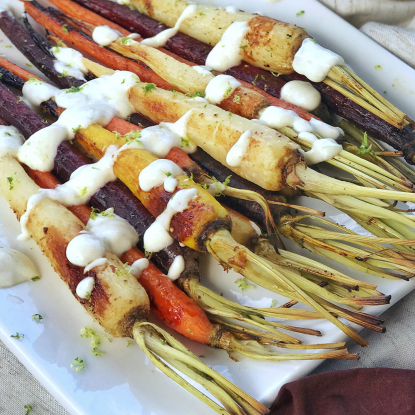 Pin so you’ll never forget this recipe idea! 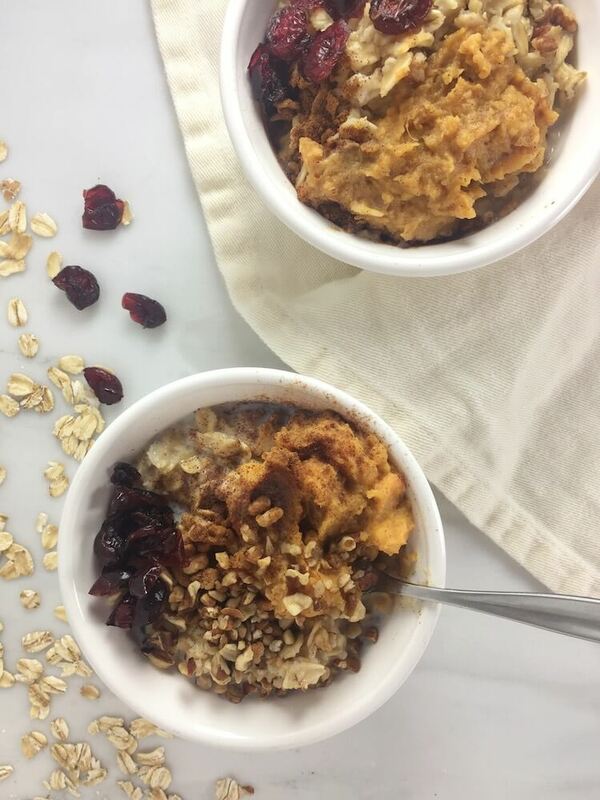 Stir together oats, milk, and cinnamon in a microwave-safe bowl. Cook 2-3 minutes stirring every minute until oats are soft. Stir in leftover sweet potato casserole and top as desired.